The founder and lead attorney of our law office, Mike Daudt, has earned a "Superb" Avvo rating as a top attorney in real estate, construction, and land use and zoning. He holds the highest possible rating, AV Preeminent,* from Martindale-Hubbell. Mr. Daudt has also been named a Rising Star by Washington Law and Politics magazine. In one case, our attorney recovered $1.5 million in arbitration over a profit distribution dispute. In another instance, he negotiated a multimillion-dollar settlement for customers of a major bank after the bank wrongly charged them fees. In addition to business litigation, our law office handles cases involving water law, including floods, landslides, dams, riparian rights, wetlands, developments and storm water. 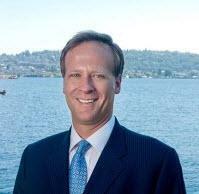 Daudt Law works with clients in the greater Seattle metropolitan area and statewide. We accept credit cards as payment and offer a free initial consultation at the firm.